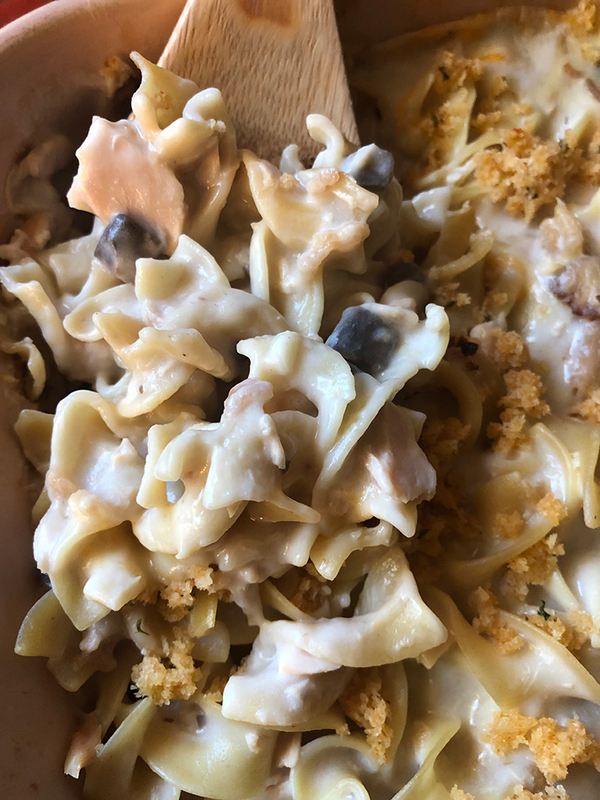 For my tuna noodle casserole recipe without peas recipe I used both cream of mushroom and cream of chicken because I like my casseroles to have lots of flavor! You could also try some of the other creamy type soups like the cream of brocolli soup if you want to experiment in the kitchen. 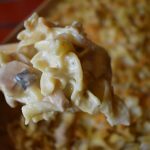 A recipe for Tuna Noodle Casserole without the peas! In a bowl add the soups, tuna, milk and onions. Stir to mix ingredients. 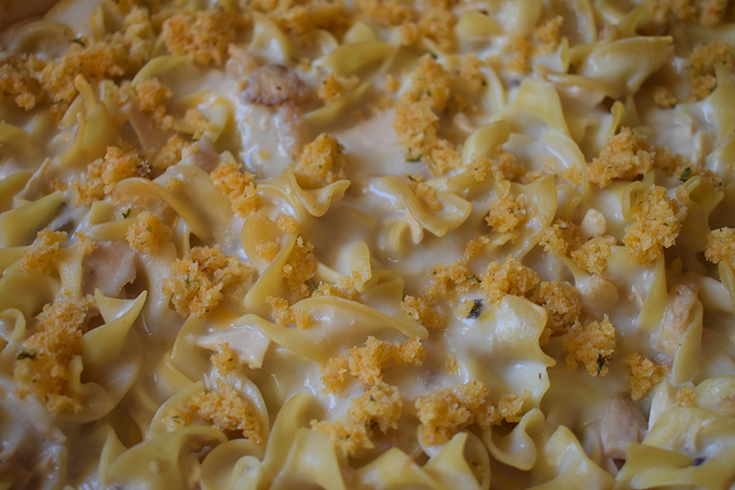 Place cooked egg noodles in a 11x13 casserole dish. 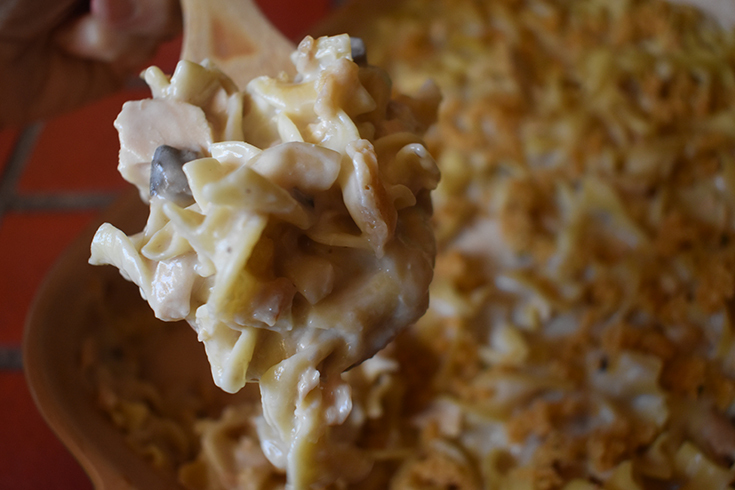 Pour mixture over noodles and stir until there are no dry noodles. In a small bowl add the panko bread crumbs and melted butter and mix well. Set aside. 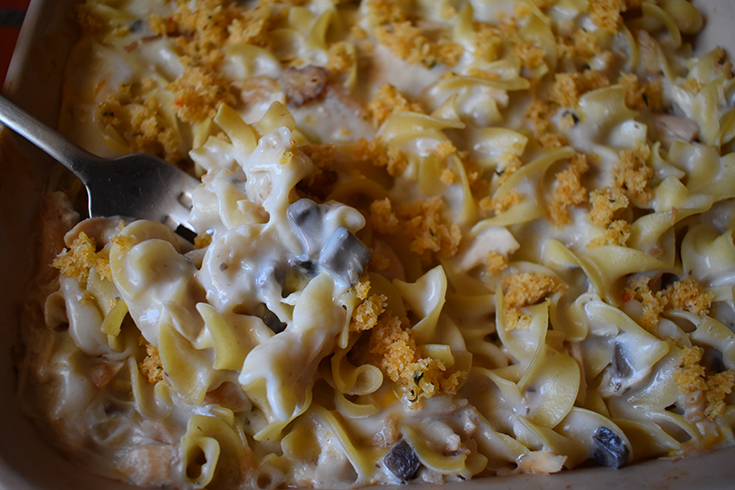 Place casserole in oven and bake at 400 degrees for 30 minutes. Remove from oven and sprinkle bread crumb/butter mixture over the top. Return to oven and bake for an additional 5 minutes.